Ambler Cottage, like its twin Ambler Cottage East, is one of a pair of adjacent cottages. Both are quiet, secluded, fully equipped 2 bedroom / 2 bathroom, executive residences. Located 150m from Adelaide’s South Parklands, in historic and tourist Unley, Ambler Cottage captures the charm and convenience that only Adelaide can offer. Superbly renovated, Ambler Cottage has polished karri and jarrah floors, fully tiled bathrooms, a well equipped kitchen and adjoining north facing open lounge. Full height windows and sliding door open onto a striking, sheltered deck and secure private courtyard. More than a dozen top quality restaurants - Italian, Japanese, Greek, Thai, Indian and Vietnamese - are within a 1 to 3 minute walk. Almost equally close are cafes, boutique hotels, health clubs, hair & beauty salons and fashion boutiques. Central Adelaide and the busy Hutt Street and Rundle Street East End restaurant precincts, are all within 5 to 15 minutes - depending on whether your drive, cycle or walk. The Adelaide / Glenelg tram is only a 10 minute walk away. The tram services beach side Glenelg, central Adelaide, the Adelaide Casino, Festival Centre, University precincts, and the Entertainment Centre. A 10 minute free event bus trip to Adelaide Oval gates for AFL, Cricket and Concert Events. The large Unley regional shopping centre is a short walk from the Cottage. The busy suburban shopping and restaurant precincts of Hyde Park, Burnside and Norwood are minutes away by car. Long term stays (more than 10 days) are available by special arrangement. Located 150m from Adelaide's South Parklands, just a few minutes from the CBD and Central Market. 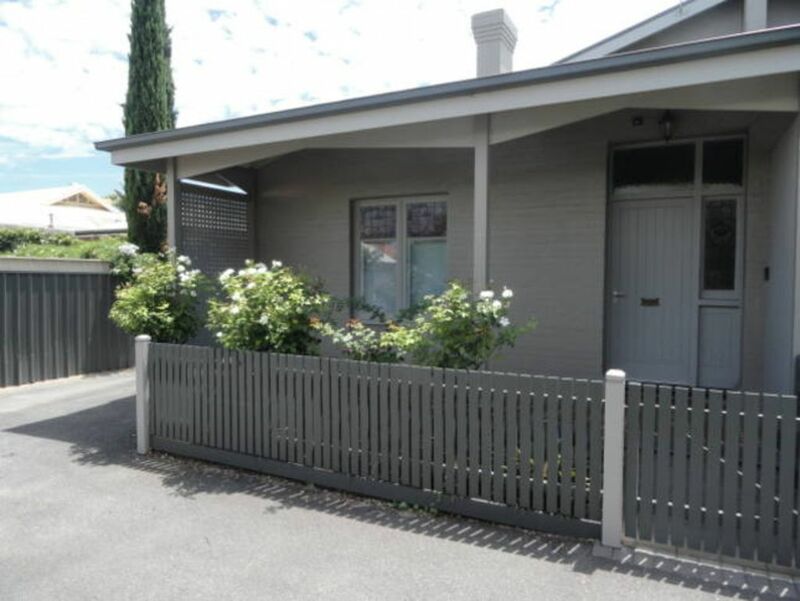 Easy walking to Unley and King William retail shopping precincts, cafes, restaurants and bars. Bathrooom towels, hand towel and facewasher. Samsung, french door, with chilled water dispenser. Covered entrance veranda with tessellated tiles. Covered, north facing timber deck. Clean, well appointed and perfectly situated. Ambler Cottage was well appointed and clean. Felt just like walking into your own home. Great location and will definitely stay again the next time I’m in Adelaide! Perfect cottage for a few days, the bedrooms are large and the kitchen/family room is beautifully appointed. The outside area is great for a relaxing breakfast and cuppa. The location is super central and a good base for an Adelaide visit. I will say I was glad a had a very small hire car, as the driveway is quite narrow but the garage is well sized. Thanks for letting me enjoy a lovely stay! The cottage was very well presented and suited all our needs. Neat and clean. Ideal for what we wanted. If you don't like the noise from the city you will love this little retreat. Deborah has thought of everything to make your stay comfortable. The house is clean, laundry equipment convenient (and soap provided), all local information and public transportation brochures available, comfy bed, kitchen condiments stocked, locked carport, and plenty of storage. Cottage is located on a quiet street and a 5 minute walk to the Tram which you can take to the train in town, and a 5 minute walk to a great little breakfast/lunch café which we stopped by several times. Several restaurants within 10 minute walk. We did not have a car and we managed without feeling disappointed in our choice. Thank you Deborah!! A fantastic layout and well maintained a cottage. Really enjoyed our stay. A great location, a great layout (two large bedrooms, with plenty of storage, two modern bathrooms and modern kitchen/living area). All really well maintained, comfy and clean. Great facilities and information provided. A lockable garage. (this is a bit tight to get into). Would highly recommend this place to others. We stayed at Ambler Cottage again for a long weekend recently and it is so lovely you just want to stay indoors. There is simply nothing that isn't of the highest quality, comfortable and lovely. As other reviewers have noted the location is fantastic: surrounded by restaurants, quirky shops and beautiful parks. We walk into the city and don't need to hire a car to get around so Ambler ticks all the boxes. A real retreat in the city.